Do you have a relative living with you or a college student living at home who wants a little more independence? You can accommodate their needs by converting your garage from a space to park your car into an adorable apartment. This will give them a little freedom while still having them live close enough to provide assistance if needed. Converting a garage into an apartment does have its challenges but with the right designer, it is achievable. For example, some garages are small so you have to maximize the space to its fullest potential. Even if you have a two or three car garage, you still need to decorate the space wisely. There is also a problem with storage but your interior decorator can help you find creative ways to add more storage space without taking up too much room. In addition to these problems, you’ll face three main challenges when turning your garage into an apartment. The garage door is the main challenge you’ll face when converting this space into an apartment. You’ll have to remove the garage door and all the hardware that controls it and then build a wall in its place. You’ll also need to install an entrance door so that whoever lives in the apartment will have a way to enter and leave privately. This is a huge job that requires a professional contractor. Part of the services we provide here at J. 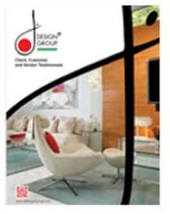 Design Group is connecting you with the right contractors to get the job done in a professional and timely manner. You will need to add plumbing to your new apartment in order to provide a private bathroom and kitchen area. You’ll also need to have electricity. It’s always in your best interest to hire a professional plumber and electrician to provide these services. The plumber will run all the piping and install the sinks, toilet and shower. The electrician will run the wiring from your electrical box to the apartment and make sure everything is on a separate breaker to avoid overloading the electrical current running to the box. The third major challenge is heating and cooling the apartment. You must make sure it’s insulated properly or your energy usage will skyrocket. The apartment should have its own heating and cooling unit to allow the occupant full control over how warm or cool they want it to be. In most cases, a window unit would be sufficient. Our expert interior designers can help you choose the best heating and cooling unit for your new apartment. No matter where you live, you are required to obtain building permits before you can begin your project. The apartment will need to abide by all the building regulations and safety codes before it will pass inspection. We can acquire all of the proper permits for you and ensure that your new apartment will pass all inspections once the project is complete. It’s just one more advantage that working with a professional interior design firm provides.